As a scientific researcher and blogger, I sometimes need to cite papers in my blog posts. Maybe list out my publications too. Managing citations and publications with text editors is extremely annoying and messy, not only for the publisher but also for the readers. Hence, the need to utilize some tools that facilitate scientific blogging. Additionally, applying for a scientific grant or being granted one requires creating a website regarding the granted project, at least for European projects. However, it is time consuming to build an outstanding scientific website, in addition to being distracted from your research. In this post, I will share my secret for building such a website in less than an hour. The focus of the post will be on building a website for a scientific project as it has more requirements than a personal academic blog. Nevertheless, you can build any scientific website without programming skills by following this post. WordPress is a great open-source CMS and blogging system. It is the most used blogging platform and many well known websites have utilized it (e.g. LinkedIn, TED, and PlayStation). Additionally, it is secure and safe to use as it has been there for long time and maintained very well. WordPress is easy to setup and use, yet, very powerful. Not only It provides the ability to host static pages, blog and news posts, but also allows users management out-of-the-box. As a result of just using WordPress, we have met our requirements from 1 to 3. Allows adding academic papers and citing them in posts and pages. The plug-in also allows importing a full bibliography from your favorite reference manager. To read more about the features this plug-in provides click here! techPress is a great plug-in for managing publications and courses. You can import, export, and list your publications easily with its user-friendly dashboard interface. Read more about what this plug-in provides by visiting its webpage! The Events Calendar is the events calendar. It is highly customizable and offers numerous features including, but not limited to, widgets for up-coming events, events search, Google maps, and exporting to Google calendar. By using The Events calendar you are assured to have a high quality plug-in. If you require more features, the plug-in has a PRO version. Go ahead and check it out! An important aspect of any website is its user-interface, its face to the globe. Given the lack of time to design my own themes, I would install a premade theme. The process of finding a suitable theme that meets the style of the project, in itself, is time consuming. Which is why I mostly would purchase a premium theme. In addition to saving my time, premium themes come with customer support, various great features, drag-and-drop editors, responsive layouts, multi-language support, and many more for a very affordable price. 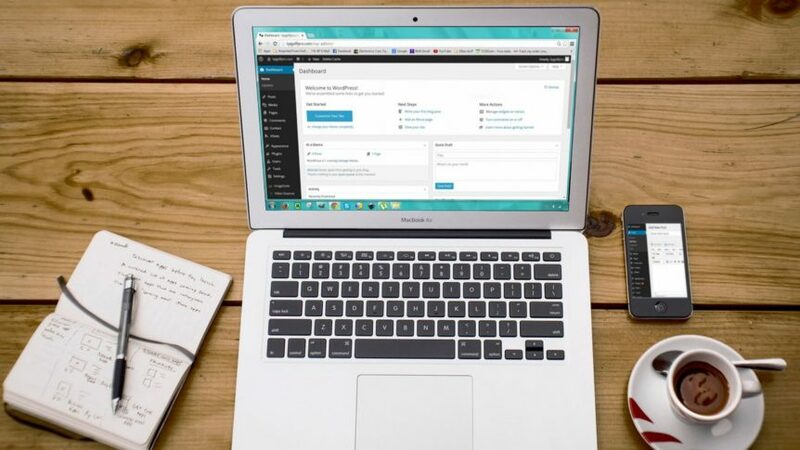 To save you time, here is a list of the best five premium WordPress themes I have seen during my research. Check them out and choose the one with the features that meet your needs. Typically all of them will! Nothing beats customers satisfaction, and this is why Enfold theme is the most rated theme on themeforest. It has an advanced layout and content editor. Moreover, it is extremely easy to use. Click here to check this theme out. BeTheme knows well how to save you time. It comes per-configured with more than 230 websites that you can install by 1-click. Each website demo included in this theme is made for an entirely different purpose, just to illustrate the wide customizations this theme provides. To see all the +230 websites this theme provides, click here. Avada is the most selling WordPress theme on themeforest! And there are many reasons why it is the most selling theme. Click here to read more about the theme and see its demos live. Using the 750+ theme options that are provided in The7 allows you to build your dream website without breaking a sweat. See all the other features this theme provides by clicking here. Like BeTheme, Bridge comes with +200 complete demos to facilitate building your website. An essential feature this theme has, at least for scientists, is to build stunning inforgraphic elements to include in your posts. To view the demos and read all the features and plug-ins this theme has visit click here. To view other premium alternatives, visit themeforest as they offer a wide collection of themes for all purposes. However, if you had a tight budget and cannot afford buying a premium theme, the following themes are FREE and seemed good for a scientific project’s website: Sparkling, Accelerate, GeneratePress, Alizee, Revera, Virtue, Dazzling, Flat Theme, Enlightenment, and Nisarg.